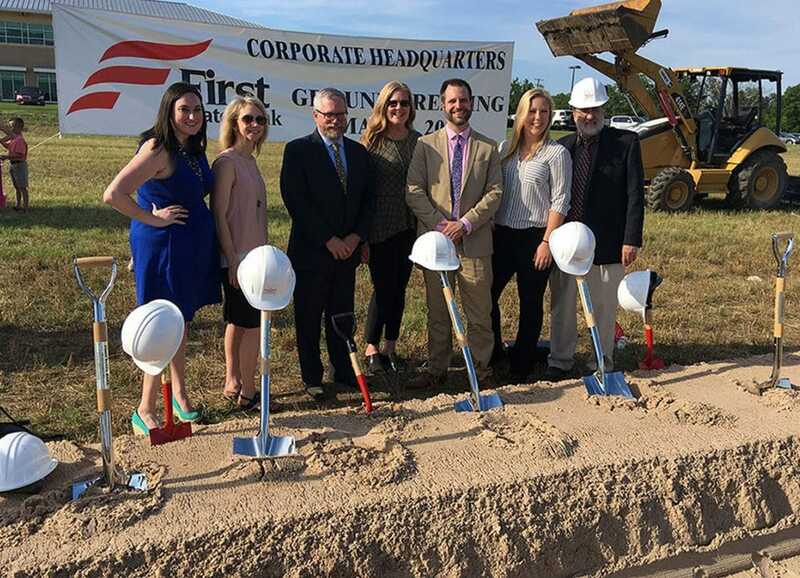 Rogers-Ford headed up to Gainesville, Texas in May to join First State Bank and 6-4-3 Construction Solutions during the Groundbreaking Ceremony for First State Bank’s new Corporate Headquarters. Site work is now under way. 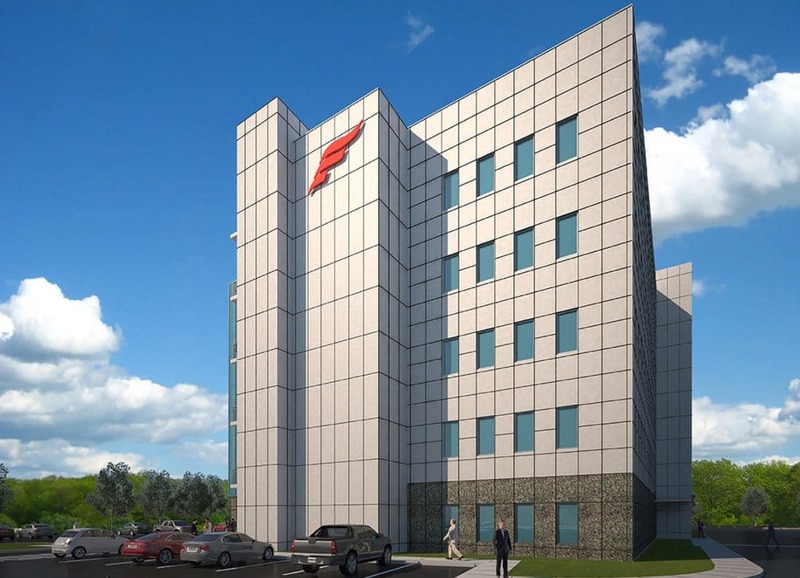 Both our Architecture and Interior Design staff are involved in this project. Stay tuned for updates as construction progresses. 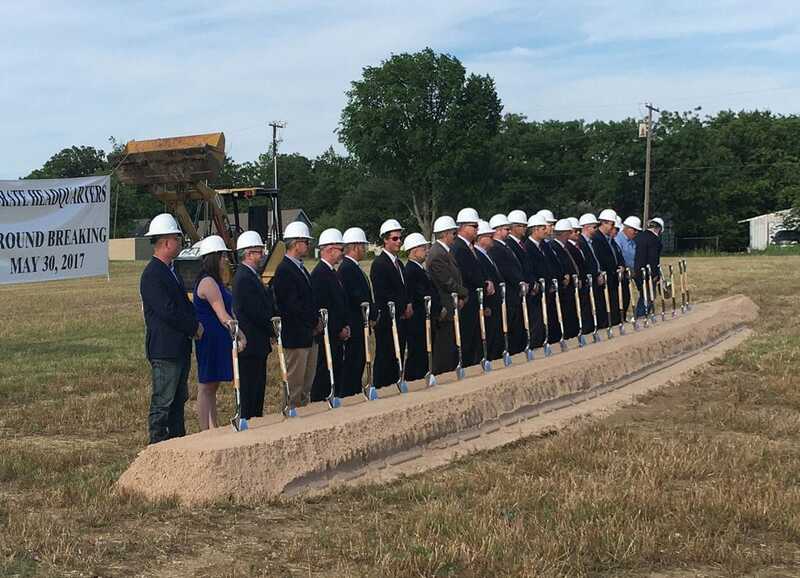 Rogers-Ford Staff posing for photo at Groundbreaking. 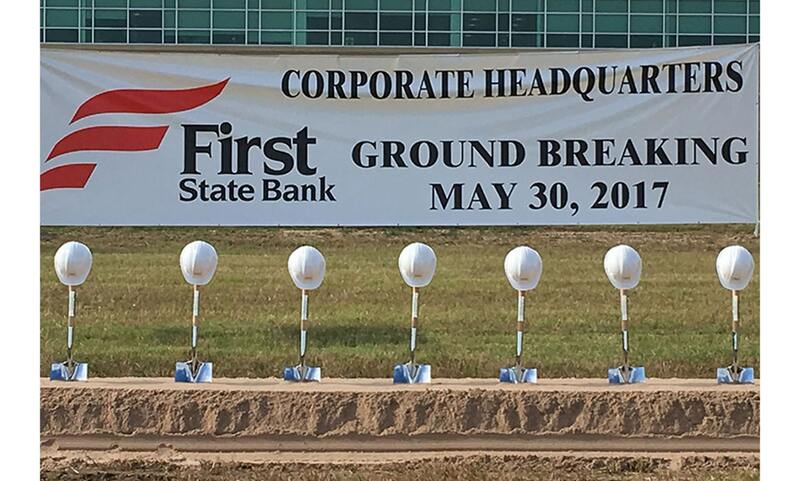 First State Bank Officers & Directors, along with staff from Rogers-Ford and 6-4-3 Construction ready to break ground.